The Midwinter’s will be hosted by the Upper Keys Sailing Club and will be sailed on beautiful Buttonwood Bay in Key Largo, Florida. We will continue to use same format as the past few years. The Racing begins on Thursday instead of practice races. This will give us 3 days of racing. Sailors arriving early will have use of the club to set up and do some practice sailing. The 2011 Midwinter’s will consist of as many as 8 races. There will be 1 throw out if more than 5 races are sailed. The regatta is open to all members of the Force 5 Class Association. Membership to the class will be accepted on site. We encourage you to join prior to arrival. US Sailing members: $100; Non-members $105. Registration Includes: breakfast 2 days, lunch 3 days, 1 dinner ticket, happy hours, a great giveaway and awards. Registration will be due upon your arrival. Please let us know by e-mail or a phone call if you plan to attend to assist us preparing for the regatta. 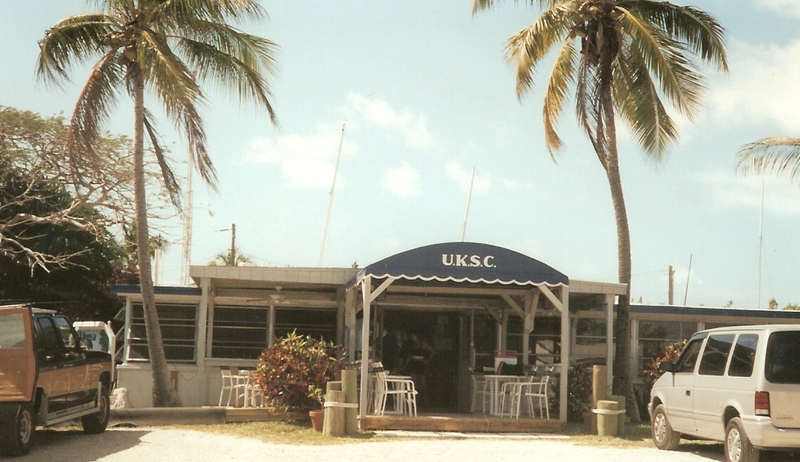 Established in 1973, the Upper Keys Sailing Club (UKSC) has the marvelous feel of old Florida. Docks - Boat Ramps - Beach provide a beautiful view of Buttonwood Bay. A perfect spot for Force 5 sailing, watching beautiful sunsets and enjoying the warm Florida Keys. 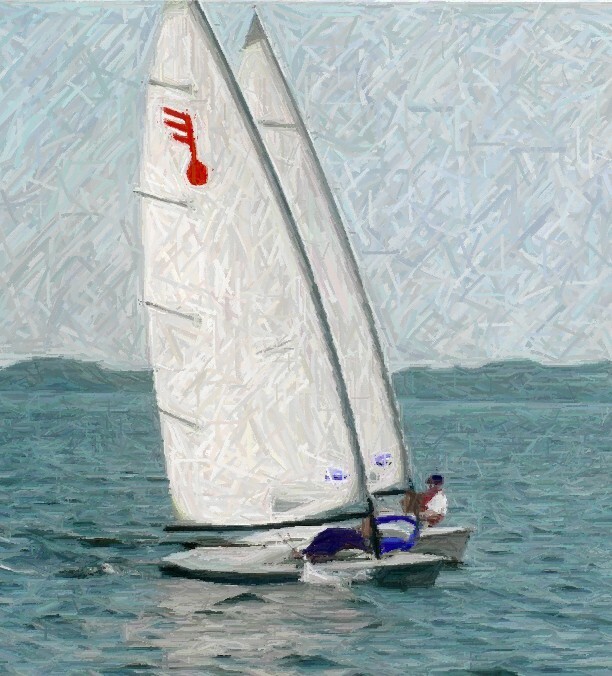 The Upper Keys Sailing Club is located at MM (mile marker) 99, or 99 miles from Key West, and one hour south of Miami. Rooms Start at $70. A discount will be extended to all Midwinter’s attendees. Please ask for either Phyllis or Dermitt. This resort is within walking distance from the Upper Keys Sailing Club. Rates: $170 - $190 per night. Rates: $120 - $160 per night. Different size rooms and styles. Kitchens and Cottages. You can leave your boat on the beach and sail to the club and racecourse. Rates: $171 - $259 per night. There are many options in accommodations available. You can visit the Upper Keys website to find other options. The 2010 North American Championship was held at Western Carolina Sailing Club on Lake Hartwell. The class couldn’t ask for a better venue for our biggest event. If you haven’t attended a major event and think you might like to join us this year. Please reach out to any of the class officers for details on the friendly atmosphere of the Force 5 sailors. You will find the helpfulness of fellow members a welcome change to most major events. WCSC offers some of the best onsite camping and great restroom and shower facilities. If you’re a camper, plan to stay on the club grounds. We have one of the most scenic spots on Lake Hartwell and lots of room for tents and Campers. More details as they are made available!!! 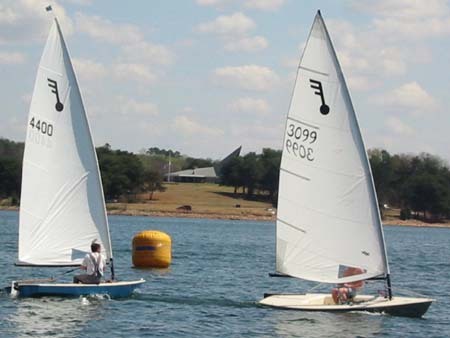 Western Carolina Sailing Club is located on Hartwell Lake, Anderson, South Carolina. WCSC was formed in 1963 by seventeen charter members who sailed from Portman Shoals Marina on Hartwell Lake. After two years of holding club races and events at various launching points around the lake, seventeen acres, including a ten acre island, were leased from the Corps of Engineers for a home for the Club. 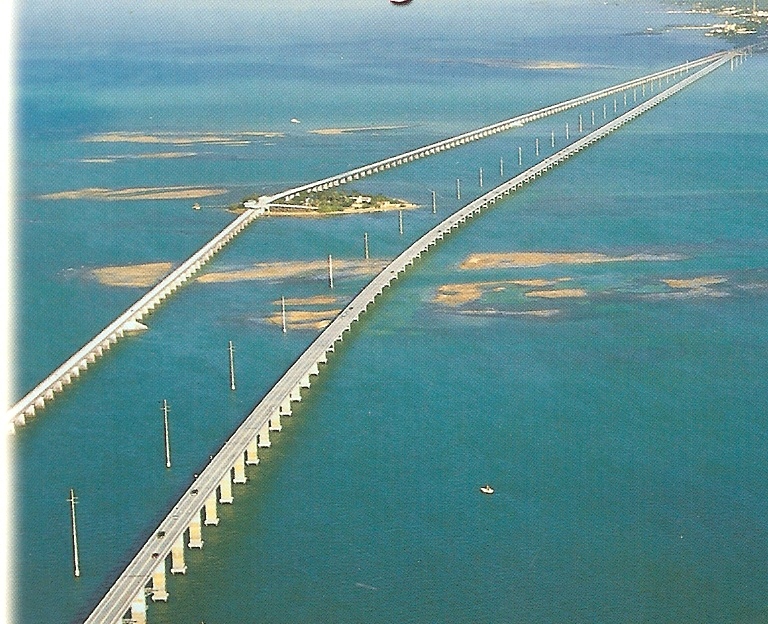 In 1966 a causeway was constructed to the island which created a protected harbor for boat anchorage. A clubhouse was constructed on the island in 1967 and enlarged in 1973 to accommodate a growing membership. In 1972 the first of four slip docks was constructed by members. 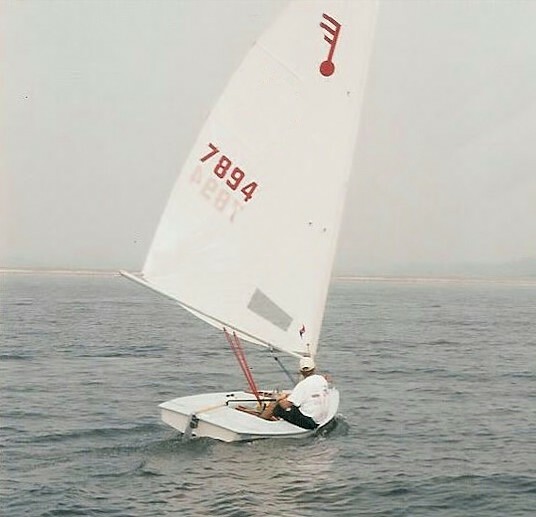 In the following year a fleet of 420's was purchased to support a Junior Sailing Program initiated the prior year. Further expansion was completed in 1978 with the addition of a storage building and a restroom on the mainland. By 1980 membership had grown to 216, and in 1984 two of the slip docks were replaced and enlarged to twenty-six slips each. In 1987 an additional seventeen acres were leased for added storage and provided the Club with thirty-five acres for its growing membership, now at 250. In 1990 the fourth slip dock was replaced and expanded to eighteen slips which provided a total of eighty-four. In addition, thirty four anchorages and 140 spaces for boats on trailers are now available for members. Need directions to the club? Take Interstate 85 to South Carolina exit #14; take highway SC187 east (toward the "Huddle House" side of the Interstate) to the intersection of SC 24 & 187, turn left and go 2.8 miles, make a right at SC 187 and proceed to Harbin Drive (immediately after T&M Contractors). Turn right onto Harbin; almost immediately, turn left on Westwind Way. Follow Westwind Way to WCSC Sail Club. Located in the foothills of the Blue Ridge Mountains of South Carolina, the area offers an abundance of cultural and historic sites, gardens, farms, orchards, and unique cities and towns for you to explore. Because the climate is mild, outdoor adventures can be enjoyed throughout the year. The Upstate region, which begins at the border of South Carolina and Georgia and goes East to the Catawba River basin, has something for everyone. Go white water rafting or canoeing in our numerous lakes and rivers, hike or bike on our scenic mountain trails and winding country roads, go horseback riding where the Cherokee once roamed, be a part of a living history demonstration, tour the grounds of a plantation or a working farm, play a round of golf, or visit small towns and vibrant cities for a sample of American life. Be sure to bring an extra suitcase for all of the shopping you will do at our outlet stores, malls and boutiques. This diverse area offers a wealth of exciting things to do for the shoppers, golfers, history and culture lovers, and outdoor enthusiasts. Welcome to Upstate SC! 2010 FORCE 5 NATIONALS COMING SOUTH! Brian Hampton and Carl Ulbrich of the Western Carolina Sailing Club has taken up the gauntlet, and are currently working out the final arrangements. As it stands, this would be a FORCE 5 ONLY event with racing on Friday, Saturday & Sunday, held either the first or second weekend of September. This would allow sailors to hone their skills throughout the Summer season, and represent the culmination of their efforts…and the sailing weather this time of year is the best you could ever hope for. As you may know, WCSC is simply one of the finest, friendliest, sailing clubs you will ever find. The extensive lakefront camping area makes an event there a true bonding experience. Sailing, eating, and campfire reminiscing together, never needing to drive off to a motel, makes a WCSC regatta become a time to step away from life’s hassles, and just ‘be there’. WCSC volunteers go beyond the call of duty to provide great Race Committees and plentiful meals. The club graciously never closes their large clean clubhouse and bathroom / shower facilities. Membership is $20.00 per year. Call today and start receiving the "Broad Reach" newsletter, get your membership card and class sticker and open your world up to the excitement of Force 5 sailing. 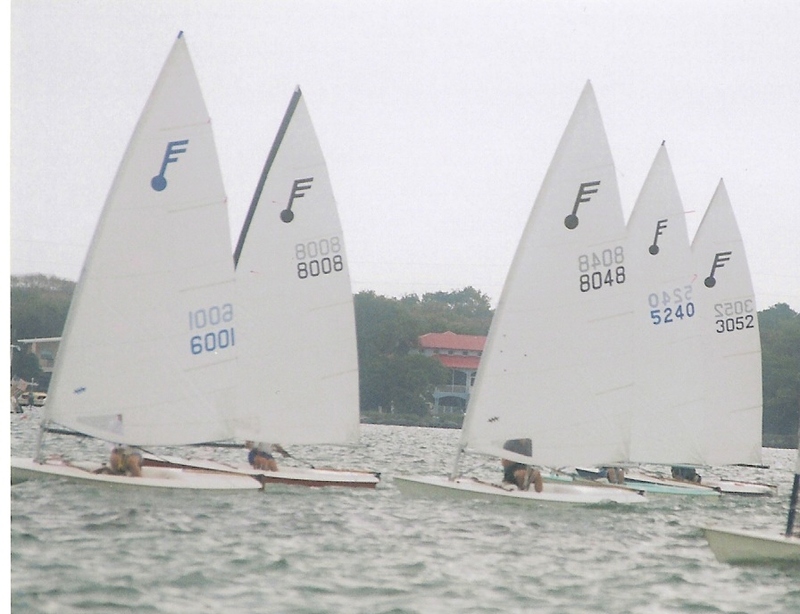 The class holds many regattas each season and welcomes sailors of all skill levels, unlike most other classes. Come join the fun !! !